Want to get really good at Horse Agility, but don’t want to compete? Would like to build your horsemanship skills, without having to compare yourself with others? Want to build a great relationship with your horse in the comfort of your own yard? Now you can! You don’t need to be a club member to take the course. Written by Vanessa Bee (Bachelor of Education, Founder of Horse Agility) and author of three best-selling books on obstacle training) the assessment programme is designed to be all inclusive whatever your ability and method of working with horses (as long as it’s horse centred, we’re happy). Quizzes and a challenge to really get you thinking. There’s also a progress chart and a dedicated discussion group to share ideas and triumphs. You can take as long as you like and when you’ve successfully completed the course you will receive a digital certificate and a beautifully embroidered badge to display on your jacket or cap. 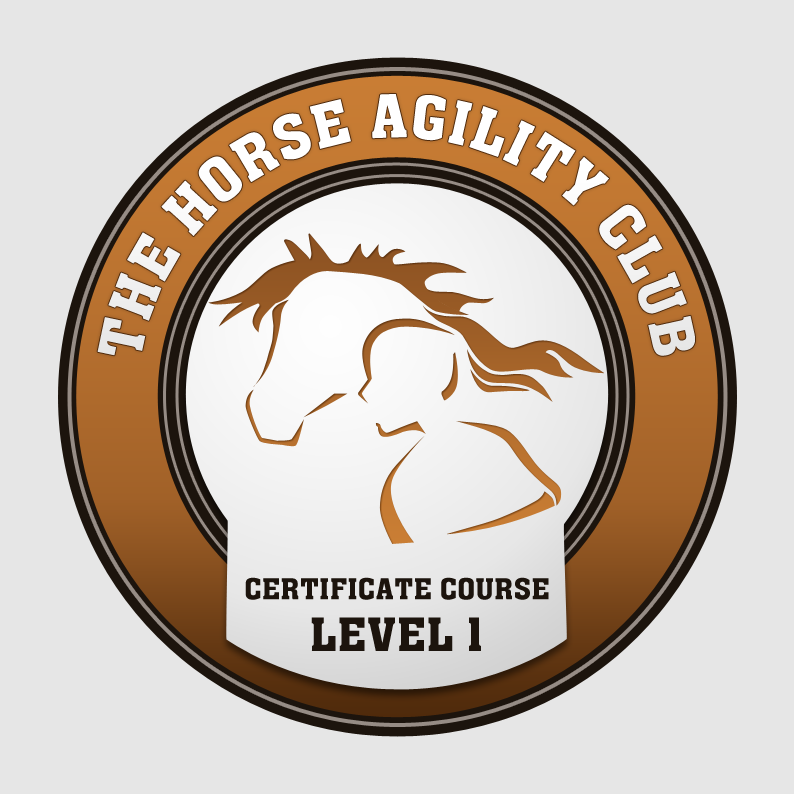 Completing these courses can also build into a chance to become an Accredited Trainer in Horse Agility..
Why not register today and get started?